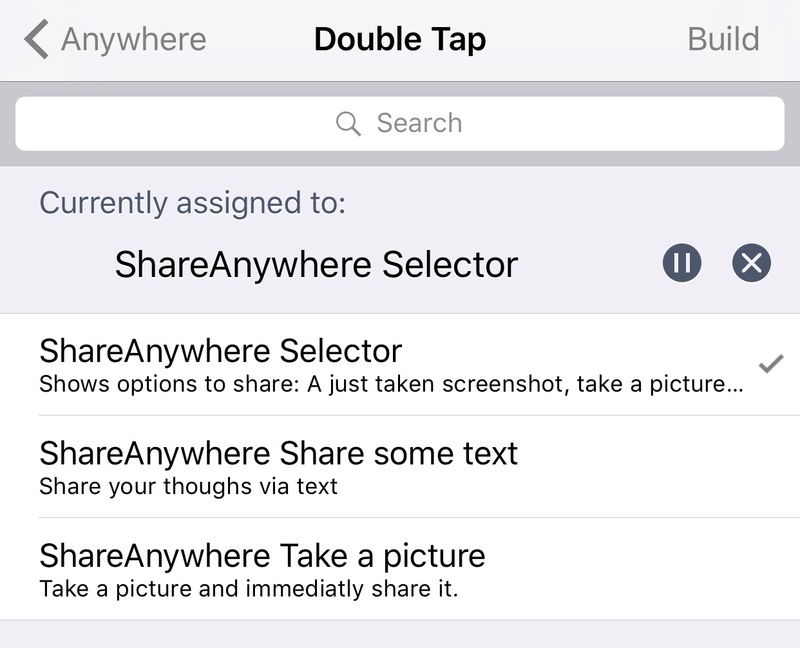 If you share all kinds of things from your iPhone or iPad with friends more often than the average Joe does, then a new free jailbreak tweak called Share Anywhere by wizages might be worth checking out. 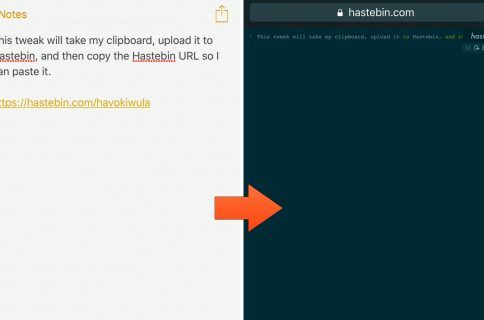 Complete with Activator integration and an all-in-one menu, this tweak makes it easier to share photos, screenshots, and blocks of text from anywhere in iOS. Since option 1 will be the most popular because it can do everything, we’ll be demonstrating it for this example. 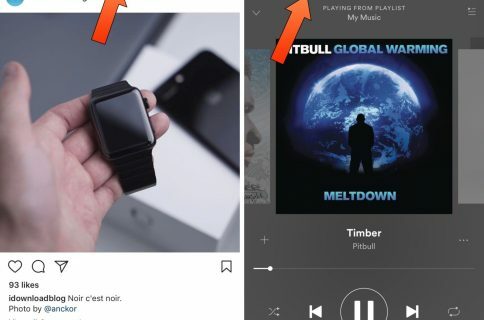 You can choose the one that best suits your own device usage habits. 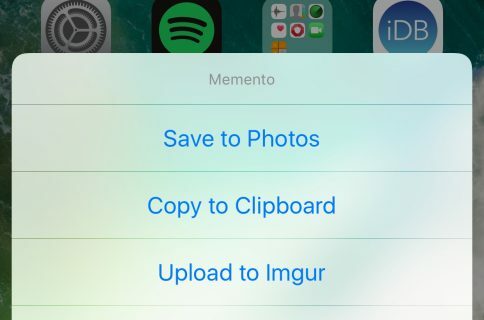 This menu makes sharing screenshots easier. 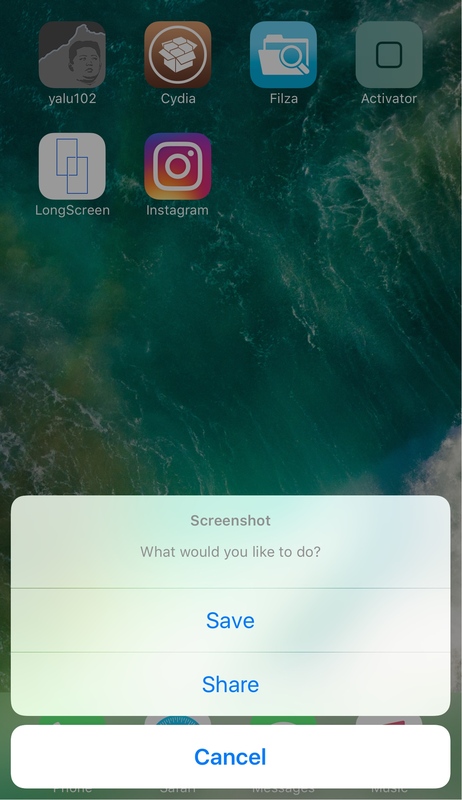 Since you typically take screenshots to show off something from your device, this will be convenient for power users because it doesn’t require you to manually find the image in the Photos app and go through the sharing prompts for each and every screenshot you want to share. 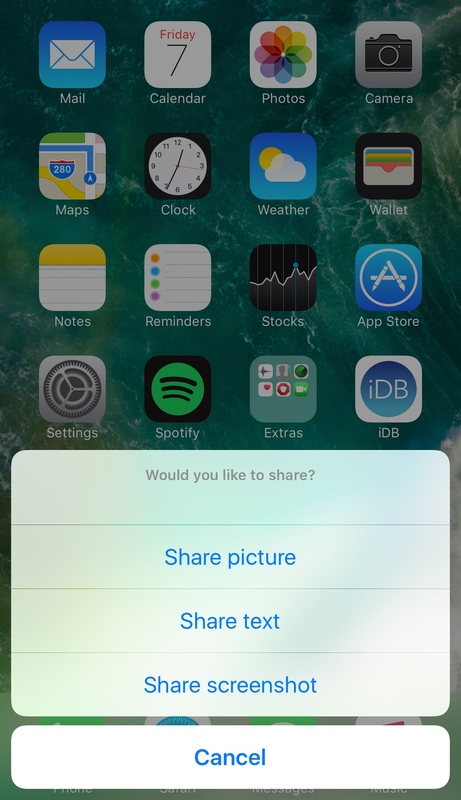 Share Anywhere is a free download from Cydia’s BigBoss repository and can be used on all jailbroken iOS 9 or iOS 10 devices. 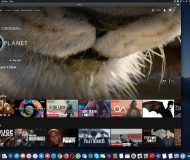 The developer has also open-sourced the tweak on GitHub so that anyone with an interest in coding can see what makes the tweak work. Will you be grabbing Share Anywhere? Share why or why not in the comments section below.